The Tropical Indo-Pacific is the largest of all the earthdive eco-regions and home to many of the world’s important coral reef systems. It embraces large tranches of the tropical waters of the Indian and Pacific Oceans, including the popular diving location of the Red Sea.The countries, island states, islands and other dependencies that comprise this vast eco-region include, in alphabetical order: American Samoa, Ashmore and Cartier Islands, Australia; Northern Territory, Queensland and Western Australia (North of Geraldton), Bahrain, Baker Island, Bangladesh, Bassas da India, British Indian Ocean Territory, Brunei Darussalam, Burma, Cambodia, China (South China Sea), Christmas Island, Cocos (Keeling) Islands, Comoros, Cook Islands, Djibouti, East Timor, Easter Island, Egypt (Red Sea Coast), Eritrea, Europa Island, Fiji, French Polynesia, Glorioso Islands, Guam, Hawaii, Howland Island, India, Indonesia, Iran (Persian Gulf), Israel (Red Sea Coast), Jarvis Island, Johnston Atoll, Juan de Nova Island, Kenya (Indian Ocean Coast), Kingman reef, Kiribati, Kuwait, Madagascar, Malaysia, Maldives, Marquesas, Marshall Islands, Mauritius, Mayotte, Micronesia, Midway, Mozambique, Nauru, New Caledonia, Niue, Northern Mariana Islands, Oman, Pakistan, Palau, Palmyra Atoll, Papua New Guinea, Paracel Islands, Philippines, Pitcairn, Qatar, Reunion, Samoa, Saudi Arabia, Seychelles, Singapore, Solomon Islands, Somalia, Spratly Islands, Sri Lanka, Sudan, Tanzania (Indian Ocean Coast), Thailand, Tokelau, Tonga, Tromelin Island, Tuvalu, United Arab Emirates, Vanuatu, Viet Nam, Wake Island, Wallis and Futuna Islands and the Yemen. In an eco-region as large as the tropical Indo-Pacific region, you would expect a diverse range of habitats, and indeed there are many. River delta marshland and mangrove ecosystems are important in the health and diversity of our oceans. The Rufiji River and the Tana River deltas of East Africa host a mangrove ecosystem that is vital to the maintenance of nearby reef and fish populations. The vast complex of shallow freshwater lakes, marshes, and seasonally inundated plains between the Tigris and Euphrates rivers are among the most important wintering areas for migratory birds in Eurasia, but large scale drainage work, plus the not inconsiderable effects of the Iran-Iraq war of 1980-1988 have taken their toll on the delicate environmental balance. The Mekong River Delta Mangroves of Vietnam and Cambodia were nearly destroyed during the Vietnam War by napalm and defoliants like Agent Orange. Conservation and restoration efforts have led to successful re-establishment of thousands of hectares, which now supply fuel wood, fish, and prawns, and many birds have returned. Within the Mekong Delta, there are 260 species of fish, 35 reptiles (including the endangered river terrapin), 6 amphibians, and 23 mammals, as well as numerous birds. The Sundarbans is a vast complex of intertidal and estuarine areas situated on the border of India and Bangladesh where the Ganges, Brahmaputra, and Mehgna rivers converge in the Bengal Basin. The Sundarbans, the most extensive area of mangrove in continental Asia, provides nursery grounds for many species of fish and invertebrates, including exploited species such as tiger prawns. The productivity of the Sundarbans plays a major role in supporting fisheries along the east coast of India. Species found in and around the mangroves include marine turtles, dolphins, estuarine crocodiles, and seabirds. The Rann of Kutch is a large inlet of the Arabian Sea, criss-crossed with mangrove-lined creeks. There is a complex of fringing coral reefs backed by mud and tidal flats, coastal marsh, and mangrove forest. The area also supports numerous sponges, mollusks, fish, algae, seabirds, and marine mammals. It is, however, the coral reef and associated marine ecosystems that are arguably the most important the health of our oceans. They are certainly one of the planet¬πs greatest natural attractions, and in the face of the abundance and diversity of flora and fauna in the reef environment, even the mighty rain forests pale by comparison. As mentioned above, the Rufiji Delta is one of the most important coastal wetlands in East Africa. Elsewhere along the coastline of Tanzania and Kenya, coral reefs form an almost continuous fringing reef. On Mafia and other islands, patch reefs predominate on the western sides and well-developed fringing reefs on the eastern sides, which may be among the finest remaining reefs in the area. The reefs around Mafia support 350 species of fish and 40 genera of corals. The Basaruto Archipelago supports a diverse range of marine habitats, including deep-sea areas, coral reefs, rocky intertidal areas, sandy beaches, tidal sand flats, seagrass meadows, and mangrove communities. The Red Sea is the warmest and most saline of the world’s seas. No permanent coastal rivers or streams flow into it, and it is partially isolated from the open ocean. All of these features contribute to the presence of unique flora and fauna. The diverse and spectacular coral reefs for which the Red Sea is renowned are found only in the central and northern portions, where the reefs are well developed and drop steeply into deep water. Considerable disturbance occurs to many Red Sea reefs, as a result of abnormally high numbers of sea urchins, due to decline in the population density of their predators. In addition, spearfishing, souvenir collecting, scuba diving and the use of the coast for recreational activities represent an important disturbance and stressing of the reef systems. Oil exploration and transport (several oil spills from tankers occurred in the area) have given rise to increansingly severe pollution. Sewage discharge, chemical pollution and sedimentation from urban development pose further threats to the Red Sea’s coral reefs. Species of particular interest in the area are the green turtle (Chelonia mydas), loggerhead turtle (Caretta caretta), leatherback turtle (Eretmochelys imbricata), dugong (Dugong dugong), white-tip reef sharks (Triaenodon obesus), butterfly fish (Chaetodon spp. ), giant clams (Tridacna spp) and different species of dolphins (Delphinidae). The Arabian Sea and Persian Gulf contain rare, high-latitude coral reefs and green turtle-nesting beaches. The shallow waters of Kuwait Bay are a critical nursery habitat for commercial species of shrimp and fish and contain a unique species of mudskipper. Dugongs are both actively hunted and caught by accident. The Maldives, the Chagos Archipelago, and Lakshadweep are composed entirely of atolls, with reefs and sandy islands, and form the Laccadive-Chagos chain that extends southward from India to the Central Indian Ocean. The Maldives contains extensive and largely intact reefs, and comprise perhaps one of the world’s most complex reef systems. The Chagos Archipelago has the largest expanse of undisturbed reefs in the Indian Ocean, as well as some of the most diverse. In addition to five atolls, including Great Chagos Bank, the world’s largest atoll in terms of area, there are two areas of raised reef and several large submerged reefs. The Chagos reefs are of particular interest for the presence of an endemic coral, Ctenella chagius. The Chagos Archipelago forms the British Indian Ocean Territories and have been inhabited since the late 18th Century. However, the islanders suffered a forced evacuation in the 1970’s when the US-UK military base in Diego Garcia was established. There are strict environmental controls in place, and diving or snorkeling is forbidden in the area. The Chagos Archipelago has the largest expanse of undisturbed reefs in the Indian Ocean, as well as some of the most diverse. In addition to five atolls, including Great Chagos Bank, the world’s largest atoll in terms of area, there are two areas of raised reef and several large submerged reefs. The Chagos reefs are of particular interest for the presence of an endemic coral, Ctenella chagius. The Maldives and Chagos islands are important nesting sites for green turtles (Chelonia mydas), and many of the islands in the chain have seabird nesting colonies. The greatest threats to the reefs come from the relatively rapid establishment and growth of the tourist industry and the introduction of mechanized fishing. The natural vegetation is often cleared to make the islands “more attractive”. On several islands the organic litter is burned and is lost to the island ecosystem. Coral mining has caused significant damage to the reefs. The construction of groynes, breakwaters and jetties has caused locally severe disturbance to some fringing reefs. Unlike the Laccadive-Chagos chain, the Andaman and Nicobar Islands in the Bay of Bengal are high volcanic islands, arising from a submerged mountain chain that follows a southward extension of the continental shelf. The Andaman and Nicobars have fringing reefs around many islands, and a 320 km- long barrier reef on the west coast. While poorly known scientifically, these reefs may prove to be the most diverse and best preserved in India. The Isthmus of Kra extends south off mainland Southeast Asia, forming a boundary between the Indian and Pacific Oceans and linking Thailand to Peninsular Malaysia. This ecoregion includes some of the best-developed reefs in Thailand, on the west side of the isthmus, and globally important reefs belonging to Malaysia, on the eastern side. The Sulawesi Sea of the Philippines, Indonesia and Malaysia is one of the most diverse marine communities on earth. The abundant coral reefs, mangroves, and seagrass beds of the Lesser Sundas support the richest array of coral reef animals and plants in the world. The reefs of the Sulu Sea, however, have been severely degraded, yet remains the most diverse coral ecosystem on earth, with over 450 species of scleractinian (hard) corals, compared with 50 in the Caribbean and around 200 in the whole of the western Indian Ocean. The diverse and complex coral reefs and marine ecosystems of Papua New Guinea and the Moluccas support numerous endemic species of coral, fish and invertebrates, as well as populations of marine turtles, dugongs, and giant clams. Coral reefs extend for over 3,000 km along the western coast of Australia, with numerous reef systems. A wide variety of reefs are found, ranging from open ocean atolls to fringing and barrier reefs. The reefs contain a great diversity of fish, corals, and other invertebrates. Ten percent of the world¬πs dugong population occurs at Shark Bay in this region. The Great Barrier Reef along the northeastern coast of Australia is the largest single reef system in the world, extending 2,000 km. from the low-latitude tropics to temperate zones. It provides habitat for a great many forms of marine life. There are an estimated 1500 species of fish and about 350 species of hard-reef-building corals; more than 4000 mollusc species and over 400 species of sponge have been collected. It is the most diverse in reef types, habitats, and environmental regimes, making this an area of enormous scientific importance. 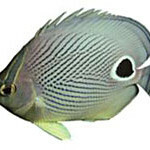 The northern tropical waters are highly diverse, though there are relatively few endemics species. The temperate portions of the reef, in contrast, have low overall species diversity but a higher proportion of endemic species Outbreaks of crown-of-thorns starfish (Acanthaster planci) occur, destroying a high proportion of hard coral cover. Palau is considered to have some of the richest and most diverse coral reefs in the Pacific, with 300 species of coral. Micronesia’s reefs also support diverse communities of coral, fish, and marine mammals. Species to be found here include all of the seven known species of giant clam (Tridacnidae spp. 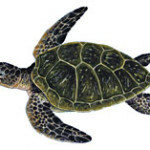 ), hawksbill (Eretmochelys imbricata) and green turtle (Chelonia mydas). The South Pacific Marine Ecosystems include Vanuatu, Fiji, New Caledonia, Samoa, Tonga, and Tuvalu and contain many internationally and regionally important sites for marine biodiversity, particularly coral reefs and mangroves. There are numerous lagoons, barrier and fringe reefs, and eelgrass beds. The Eastern Polynesian Island Marine Ecosystems include Hawaii, the Marquesas, Easter Island, Societies and Tuamotus. 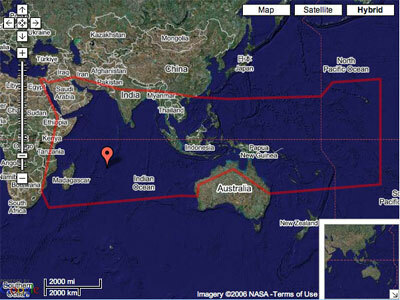 These isolated oceanic islands are at a greater distance from a continent than any other islands in the world. The Marquesas, along with Hawaii and Easter Island, have the highest levels of marine endemism of any island or island group in the Pacific. On the major islands, land run-off and sedimentation have limited reef development in many areas. Urbanization and associated anthropogenic impacts pose serious challenges to water quality. With the increase in fishing technology and demand, overfishing is a persistent problem on the high islands. Outbreaks of crown-of-thorns starfish (Acanthaster planci) have been reported for several areas.